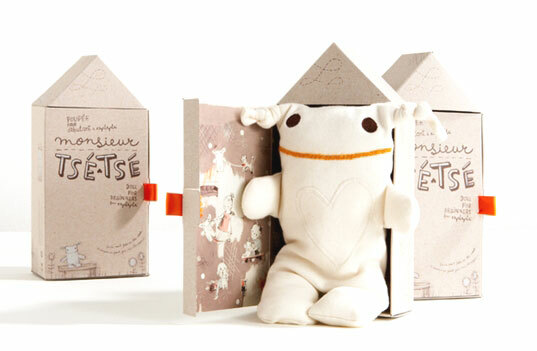 Monsieur’s little recycled cardboard house was beautifully designed by Isabelle Arsenault, a Quebec illustrator. 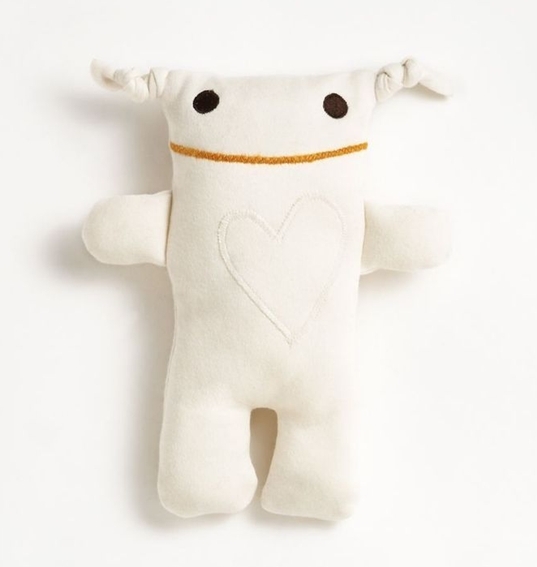 Bonus: 10% of the profits from the sale of this organic softie are donated to UNICEF. He’s not overly flashy or complex; just the perfect sweet friend for your baby to hold and love. And as you can see below, he has a big heart! Looking for a soft toy that your baby can grow up with? Organic Monsieur Ts� Ts� is so cuddly and adorable, your baby will want to grab onto him and never let go. He's perfectly baby safe; made with organic cotton, embroidered eyes, and as designer Raplapla notes, "A smile that won't fade."